This online payment system is provided by INSTITUTION viz. ASIAN INTERNATIONAL SCHOOL. ASIAN INTERNATIONAL SCHOOL may update these terms from time to time and any changes will be effective immediately on being set out here. Please ensure you are aware of the current terms. The country of domicile for ASIAN INTERNATIONAL SCHOOL is India. The description of fees are specific to you (i.e. term & related fees) when you log in with your unique password. Normally payment is required in advance (i.e. before you commence the quarter). All Fees quoted are in Indian Rupees. 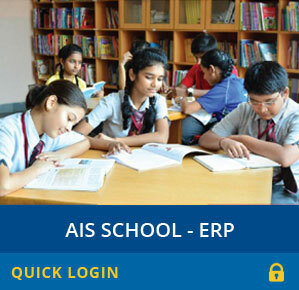 ASIAN INTERNATIONAL SCHOOL reserves the right to change the fees at any time. Your payment will normally reach the ASIAN INTERNATIONAL SCHOOL account to which you are making a payment within two working days. We cannot accept liability for a payment not reaching the correct ASIAN INTERNATIONAL SCHOOL account due to you quoting an incorrect account number or incorrect student details. Neither can we accept liability if payment is refused or declined by the credit/debit card supplier for any reason. If the card supplier declines payment the ASIAN INTERNATIONAL SCHOOL is under no obligation to bring this fact to your attention. You should check with your bank/credit/debit card supplier that payment has been deducted from your account. In no event will the ASIAN INTERNATIONAL SCHOOL be liable for any damages whatsoever arising out of the use, inability to use, or the results of use of this site, any websites linked to this site, or the materials or information contained at any or all such sites, whether based on warranty, contract, tort or any other legal theory and whether or not advised of the possibility of such damages.